Hello and welcome to exampundit. Here are the important Daily Current Affairs 5 December 2018. These are important for the upcoming Canara Bank PO and Clerk 2018 Exams. 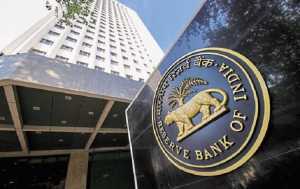 The Reserve Bank of India, RBI, maintained status quo on all key policy rates in the fifth bi-monthly monetary policy review announced this afternoon. Subsequently, the repo rate remains unchanged at 6.5 percent and the reverse repo rate at 6.25 percent. Repo rate is the rate at which RBI lends to banks generally against government securities. The reverse repo is the rate at which RBI borrows money from banks. The RBI informed the marginal standing facility rate and the Bank Rate too remain at 6.75 percent. The six-member monetary policy committee headed by RBI Governor Urjit Patel unanimously voted to maintain the status quo on policy rates. In the last policy announced in October, RBI had kept all the policy rates unchanged. RBI has lowered its inflation forecast based on moderation in food inflation and the sharp decline in international crude oil prices. Accordingly, inflation is projected to be in the range of 2.7 to 3.2 percent in the second half of this fiscal. Assuming a normal monsoon next year, RBI said that inflation will likely to stay in the range of 3.8 to 4.2 percent in the first half of next fiscal. The Reserve Bank of India Wednesday said an expert committee will be constituted to propose long-term solutions for the economic and financial sustainability of the MSME sector. The panel’s composition and its terms of reference will be finalised by the end of December, the RBI said in ‘Statement on Developmental and Regulatory Policies’. The report of the panel will be submitted by the end of June 2019. Micro, Small and Medium Enterprises (MSMEs) contribute significantly to employment, entrepreneurship and growth in the economy. MSMEs remain, by their predominantly informal nature, vulnerable to structural and cyclical shocks, at times with persistent effects, the central bank said while announcing setting up the committee. State-owned Indian Overseas Bank Wednesday said it has decided to issue more than 18 crore shares to its staff under the employee stock purchase scheme. “The board of directors of the bank, approved the issue and allotment of up to 18.24 crore equity shares to eligible employees of the bank under the Indian Overseas Bank-Employee Stock Purchase Scheme 2018 (IOB-ESPS 2018),” the bank said in a regulatory filing. The Indian Chamber of Commerce (ICC) today signed an MoU with China Council for the Promotion of International Trade (CCPIT) to increase the bilateral trade between India and China. The signing of memorandum of understanding will help the parties involved to improve and expand trade relations between Sichuan in China and Kolkata in India, and exchange trade information and publications; increase participation in local trade fairs, exhibitions, business forums; exchange trade delegations and missions and co-host B2B initiatives. The National Rail Museum (NRM) of the Railways Ministry signed a Memorandum of Understanding (MoU) with the Madame Tussauds Wax Museum to foster tourism in Delhi NCR region. This first time ever public-private museum collaboration will help attract more tourists to both National Rail Museum and Madame Tussauds Wax Museum. Under the MoU, a special discount of 35 percent will be offered on ticket prices to National Rail Museum visitors when they visit Madame Tussauds Museum, Delhi. Similarly, Madame Tussauds Wax Museum visitors will be getting discount of 30 percent on combo packages of NRM. There will be a special provision for school groups. School children will be able to enjoy both museums at a 45 percent discount. India’s heaviest and most-advanced communication satellite GSAT–11, also called the “Big Bird“, was successfully launched into space on December 5, 2018 from the Spaceport in French Guiana, South America. The satellite will help provide satellite-based internet to remote places where cable-based internet cannot reach. The satellite, weighing 5854 kg, is the heaviest Indian-made equipment that has been put into the orbit. Developed by the Indian Space Research Organisation (ISRO), the GSAT-11 was launched on the Ariane 5 VA-246 rocket from Kourou Launch Base, French Guiana. The Ariane 5 also lifted off South Korea’s GEO-KOMPSAT-2A satellites. Ariane 5 is one of three launch vehicles operated by Arianespace along with Soyuz and Vega. India and the Republic of Peru on December 5, 2018 signed an agreement for co-operation and mutual assistance in customs matters. The agreement was signed on the sidelines of the 80th Session of the Policy Commission meeting of the World Customs Organisations (WCO) which was held in Mumbai during December 3-5, 2018. The Agreement was signed by S Ramesh, Chairman of Central Board of Indirect taxes and Customs (CBIC) of India and Rafael Garcia, the National Superintendent of Customs of Peru. The Agreement provides a legal framework for sharing of information and intelligence between the Customs authorities of the two countries. It will help in the proper application of Customs laws, prevention and investigation of Customs offences. The Ministry of Women and Child Development will soon formulate guidelines for children’s hostels, prescribing the minimum standards of care that should be provided to the children. The decision comes at a time when institutions, housing children on the request of parents who are unable to take care of them and their education or due to other circumstances that force parents to keep them at children’s homes, are not registering under the Juvenile Justice (Care and Protection of Children) Act, 2015. In line with the directions of the Supreme Court, the WCD Ministry will be drafting the guidelines that will be applicable to any institution not falling under the categories mentioned in the JJ Act. The Ministry has directed the National Commission for Protection of Child Rights to draft the guidelines in consultation with stakeholders concerned. The guidelines will be notified under the Juvenile Justice Act or the JJ Rules. To ensure the safety and well-being of children even at school hostels, Ministry WCD will be sharing the guidelines with the Ministry of Human Resource Development for dissemination among schools providing boarding facility. Union Minister for Water Resources, River Development and Ganga Rejuvenation, Nitin Gadkari inaugurated India Water Impact Summit 2018 in New Delhi. The three days summit is jointly organised by the Ministry, National Mission for Clean Ganga and the Centre for Ganga River Basin Management and Studies. The Minister expressed his satisfaction over the positive feedback being received for Clean Ganga Mission. The government has freed Kanpur from the ill effects of Sisamau drain after 128 years, which was infamous for the pollution it was causing to River Ganga, 140 MLD of waste water has been stopped from flowing into River Ganga. The announcement was made during the India Water Impact Summit 2018 being organised at Vigyan Bhawan, New Delhi. Bihar government fixed Rs 100 as the charge for people to get their property registered after division of family’s immovable assets. This decision was taken at cabinet meeting which was chaired by Chief Minister Nitish Kumar. Previously the charges for registration of property after its division among the family members attracted 5 percent of the value of property as total charges, of which 2 percent used to be registration fee and 3 percent was stamp duty on the value of the property. The registration fee of Rs 100 and stamp duty of Rs 50 each will be applicable uniformly, irrespective of the size and value of property. The two-day conference on partnership between the European Union and India commenced in New Delhi for Cultural Heritage Conservation. Over 30 leading experts are deliberating on issues being faced in cultural heritage conservation and exploring innovative solutions to tackle challenges of climate change and urbanisation. The Joint Secretary of Ministry of Culture, Nirupama Kotru said, there is an urgent need to re-look at the current state of preservation, practices and expertise in heritage conservation. Deepika Padukone has become the first woman ever to feature in the top 5 of this list. With Rs 112.8 crore earning—courtesy Padmaavat and her many brand endorsements—she features at the fourth position. As per the publication, there are 18 women on this year’s list while there were 21 the previous year. Apart from her, Alia Bhatt, Anushka Sharma, Katrina Kaif, PV Sindhu and Saina Nehwal are also included in the top 100 list. Bollywood actor Salman Khan tops the list with a total earning of Rs 253.25 crore between October 1, 2017, and September 30, 2018. He has been declared the country’s highest paid celeb for the third consecutive year. Indian cricket captain Virat Kohli was placed on the second spot with total earnings of Rs 228.09 crore. Actor Akshay Kumar completed the top three with Rs 185 crore tally in the period under consideration for the list. United States warned Russia that it will withdraw from a major Cold War treaty limiting mid-range nuclear arms, if Moscow does not dismantle missiles within 60 days. US Secretary of State Mike Pompeo said that the US will no longer be bound by the 1987 Intermediate-Range Nuclear Forces (INF) treaty, unless Moscow withdraws a new system that has threatened to trigger an arms race. The US and NATO say Russia’s 9M729 system, also known by the designation SSC-8, violates the INF treaty, which banned ground-launched missiles with a range of 500 to 5500 kilometres. The United States re-established a “permanent diplomatic presence” in Somalia for the first time in 27 years. The department spokeswoman Heather Nauert called the new move another step forward in formalising US diplomatic engagement in Mogadishu. The United States has been handling its diplomatic mission to Somalia from the capital of neighbouring Kenya since 2013. 2018 Theme: The theme of the day this year is ‘Be the Solution to Soil Pollution’. The campaign aims to raise awareness regarding soil pollution and call people to #StopSoilPollution.